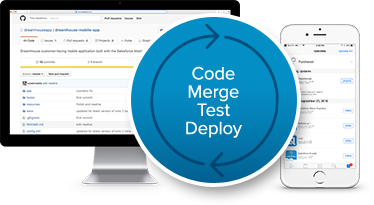 Summer ’17 contains a beta release of Salesforce DX, Salesforce DX provides you with an integrated, end-to-end lifecycle designed for high-performance agile development. And best of all, we've built it to be open and flexible so you can build together with tools you love. After downloading the SalesforceDX CLI, install it. After installing, it will by itself uninstall the git and re-install it again. Run this command, it will install the NodeJS by itself as it requires NodeJs, and by this command we are login in to SalesforceDX org, and authorizing it. The scratch org is also created through the CLI, using a config file. So if you logged in the SalesforceDX org, you can see the data in Scratch org info. You are done as you've successfully created the scratch org. There are many things that we can do using SalesforceDX and SalesforceDX CLI, like continuos integration, source control and many more, soon will post about Salesofrce IDE 2, which can be used as of the important tool to leverage the functionality of SalesforceDX.